A-28, First Floor, Sector 65 Noida - 201301, U.P. Kingswood Infrastructure Pvt Ltd is a renowned real estate company in India. Established 15 years ago, they aim to be the most prominent builders in the commercial and residential real estate market and to create lasting structures and complexes by combining high-quality construction, modern architecture and innovative design to meet the myriad needs of today’s clients. Their well-built developments can be found across Delhi NCR. Their most notable residential project is Kingswood Court. 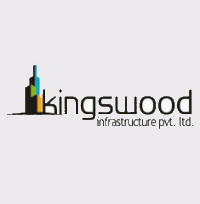 Kingswood Infrastructure Pvt. Ltd. have also built several notable commercial projects all over Delhi NCR and enjoyed immense success with the same. All their projects come with a huge array of modern features and amenities and are conceived and built according to international standard architectural and construction standards. They are also known for their strategic locations and excellent connectivity to major landmarks. Under the leadership of a strong team of qualified experts and managers, Kingswood Infrastructure Pvt. Ltd. has managed to construct several successful real estate developments and has become one of the top builders in the real estate market in India.